All RICHARDS COURT CONDO homes currently listed for sale in Salt Lake City as of 04/18/2019 are shown below. You can change the search criteria at any time by pressing the 'Change Search' button below. "ENJOY DOWNTOWN LIVING AT ITS FINEST - RICHARD'S COURT. Least expensive CORNER unit in all City Creek living complexes. Perfect LOCATION, views and floor plan afford this unique unit a sophisticated downtown feel. Spacious one bedroom unit is one of the only units with 14 FT. CEILINGS, floor to ceiling windows in the living area, and tree level views. Being a corner unit, the living space brings the outdoors in with bright light and energized spaces. All white and bright, the open floor plan invites you to peek into Tiffany's, people watch on the tree lined boulevard, view Temple Square - or simply close the Silhouette shades and have a cozy evening in this beautiful downtown property. 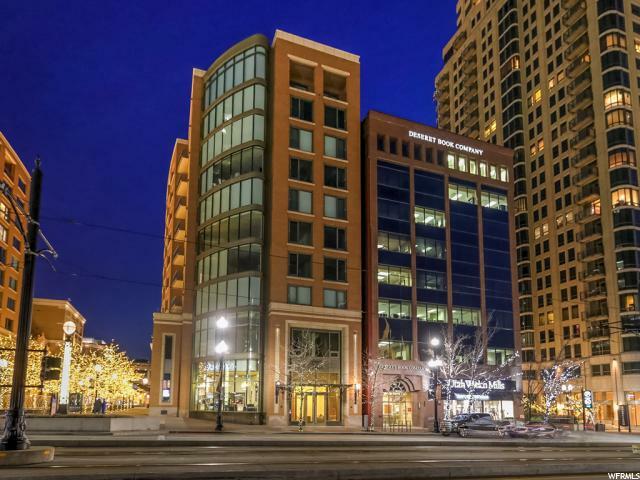 Access to everything downtown - Utah Symphony, shopping, restaurants, arts and entertainment. Square footage figures are provided as a courtesy estimate only. Buyer is advised to obtain an independent measurement."